Sometimes I crave a modern barn..I just do. Clean, warm & simple. I have the same craving. This home is gorgeous. Absolute perfection! 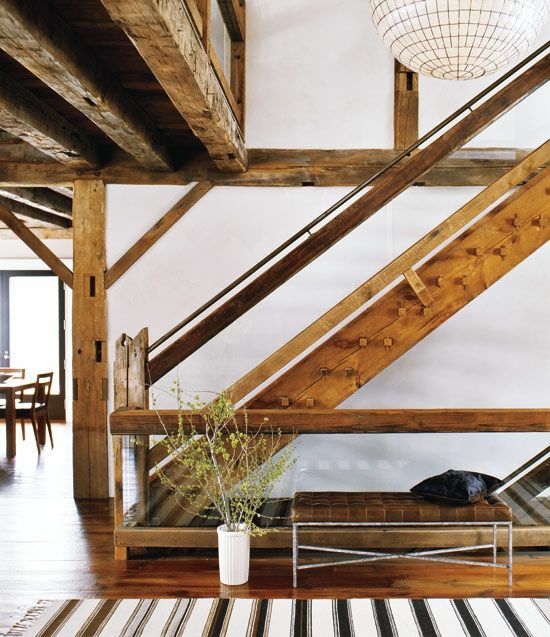 I love a modern rustic space. Amazing! I've never seen a tub like that! I am in love. 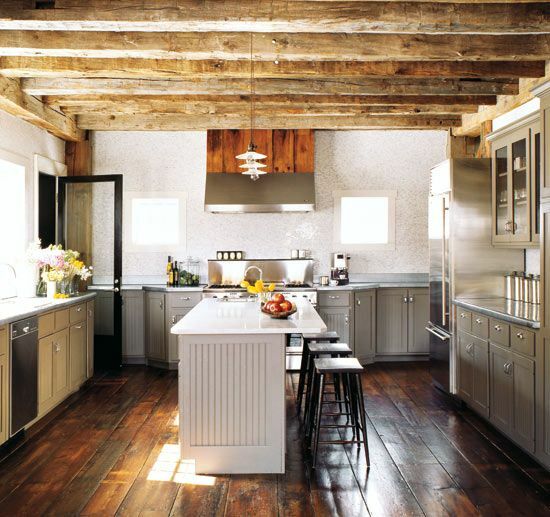 I have this theory that rustic wood beams and wide plank wood flooring make everything better. That kitchen is going to the top of my inspiration pile! Gorgeous! 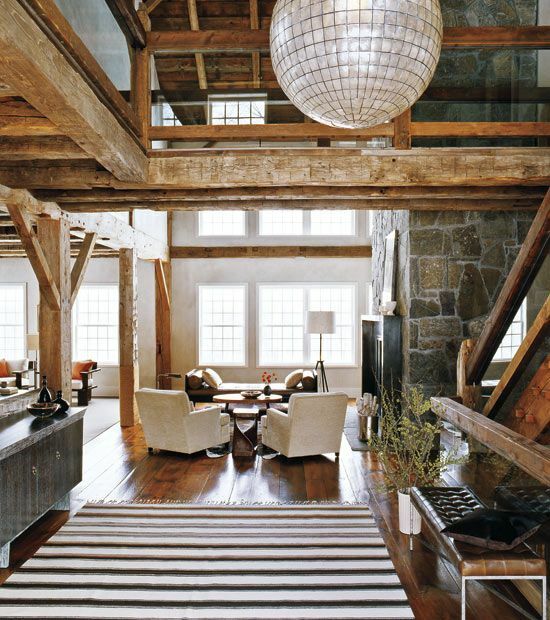 I love the exposed beams and the stone fireplace! Gorgeous gorgeous. I'll bail the hay and shuck the cows or whatever it takes to live in a place like that. Oh, Christina, I crave this too. This is the epitome of my style. I love the rustic elegance! The ceilings are to die for!!! Love the juxtapostion of the rustic and modern...fabulous!! Love! I'm really digging the wide plank floors! That is one incredibly beautiful and STUNNING barn! I love it! Gorgeous! I love the throw at the end of the bed and all of the exposed beams. Normally I am more of an urban girl, but this I could definitely do! Must be the modern spin on things...love it. Very inspirational...gives me some ideas for a project I am working on in the mountains. Right up my alley. Thanks for sharing all the pretty pics. Opps. I suppose you already figured out that the last comment was not from Rooster (although how appropriate for the topic :)) but from me. Me too! I could totally live here and be very content! Now this is what you call a home. Beautiful. so happy to find your beautiful blog via black eiffel. it's a miraculous spot for pinning on pinterest!! hooray for inspiration, thank you. Cool! I've got an idea in this post. Thanks for sharing. I really like it.